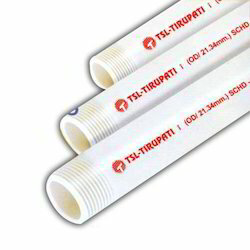 Tirupati Structurals Limited are leading manufacturer, supplier and exporter of UPVC Pipes. We are looking bulk inquiries from all over India. 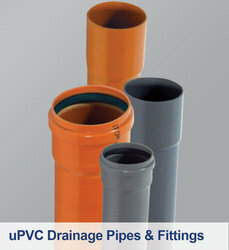 We are leading supplier of UPVC Plumbing Pipes. Better Flow Characteristic: Have smooth internal surface. 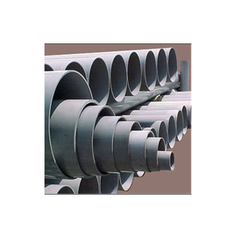 Also, these pipes are rust proof, corrosion free and do not allow any deposit formation which implies better flow. Safe: Are Fire resistant and have good electric insulation. Energy Saving: Have smooth internal surface which implies low friction loss hence the power consumption is on the lower side. Long Lasting and Maintenance Free: Are free from breakage and environmental stress, which make it a life time investment. We have attained wide reputation in manufacturing and supplying UPVC Pipes which are known for durability and dimensional accuracy. The fabrication of these pipes is done with the use of high-quality materials and new-age technology as per latest industrial norms. 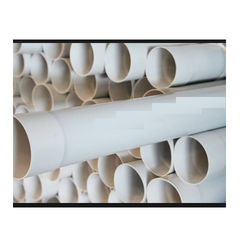 Our offered pipes are available with us in varied specifications for serving variegated needs of customers. These pipes are provided with the separate integral female threaded coupler for all sizes. These pipes are available in 1" to 4" in three different classes for varying needs based on installation depths from 100 meters to 350 meters. Note: "Minimum Acceptable Order Value : 2,00,000/-"
We are the leading supplier of UPVC Pipes made from high quality material at competitive prices. Unplasticised polyvinyl chloride (uPVC) sewer and. drain pipes and pipe fittings. Performance. The Marley underground drainage system is a uPVC. solution, beige in colour and offers corrosion resistance with excellent flow rates.